Over on drivethrurpg.com, there's still time to take advantage of the year-end Fat Dragon Games terrain sale here. 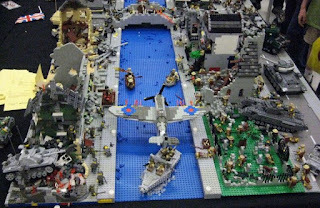 Also, on m.warhistoryonline.com, an article highlighted "Massive WWII Dioramas Built With Lego" here. Finally, on TheBeastsOfWar YouTube channel, they shared a video featuring a "Star Wars Battle of Hoth 28mm Gaming Table." Enjoy!